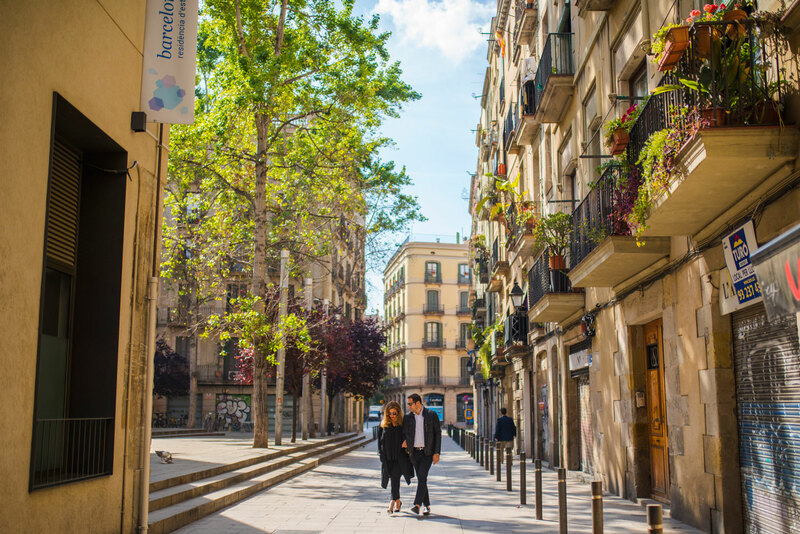 See more of Michelle and Collin's sweet e-session in the Spanish streets. 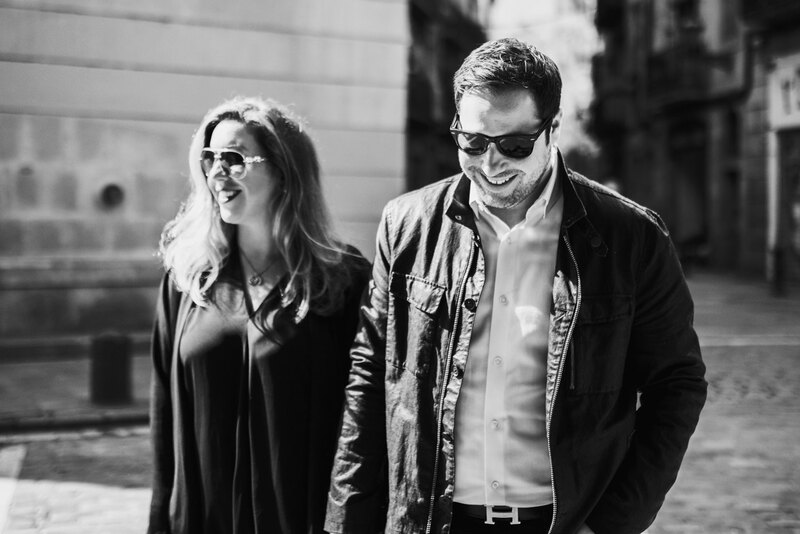 As they work in the same industry, event planner Michelle Durpetti and wedding photographer Collin Pierson had heard of each other, but it wasn't until Michelle needed headshots for the teams of her family's hospitality group – Chicago steakhouse Gene & Georgetti and wedding venue The Estate – that they first met. On the morning of the shoot date, Michelle had been thrown off one of her horses and while she sustained no serious injuries, she did have a black eye when she met her future husband. "Instead of being taken aback by it, he very calmly looked at me and suggested I hold off on my headshot until my face was a bit more symmetrical," muses Michelle. 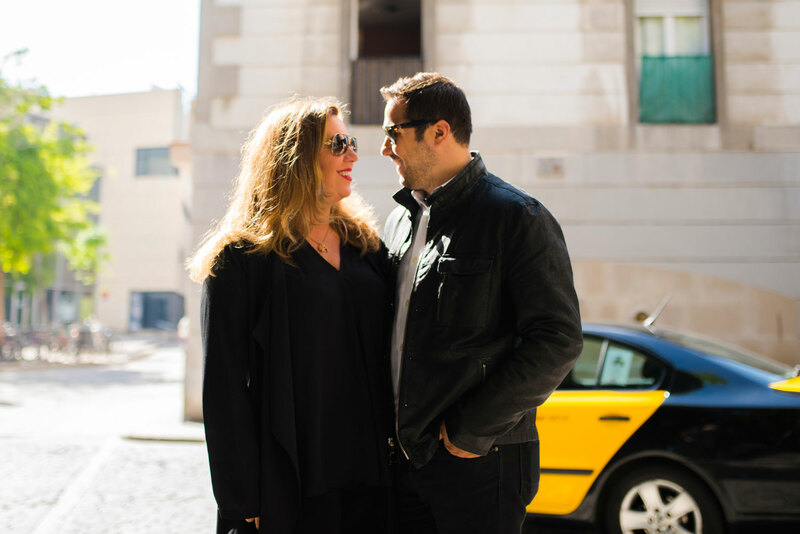 "After the shoot, he invited me to lunch, and the rest just very organically went from there." Collin proposed a year and a half later at one of the Chicago restaurant where they had their first official date. 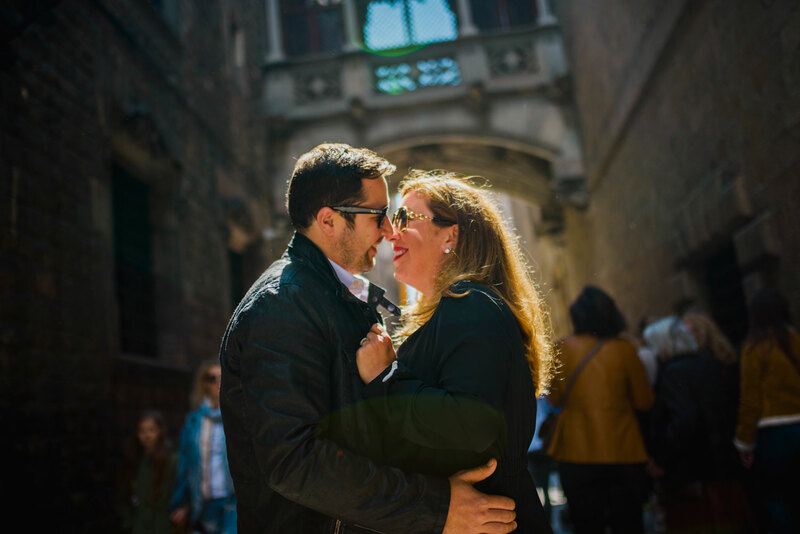 Prior to their destination wedding at The Breakers in Palm Beach, Florida, the couple decided to take engagement photos while they were in Barcelona attending bridal fashion week. 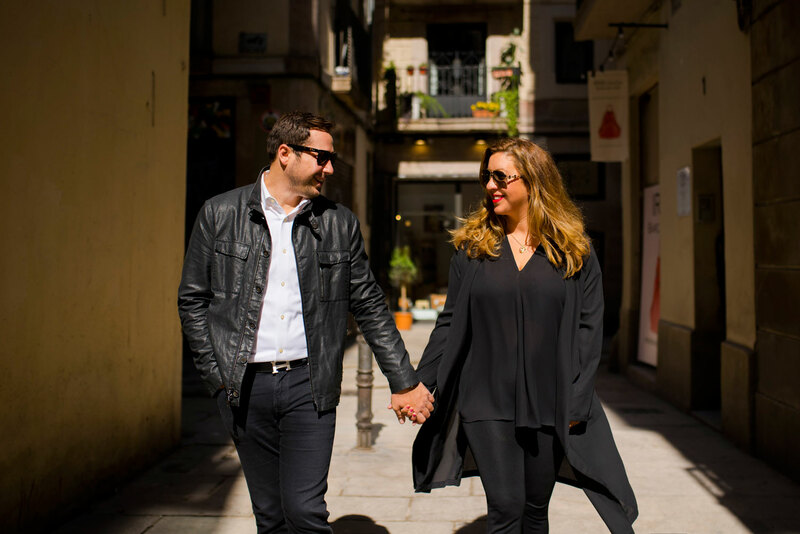 "We just walked around an absolutely beautiful quarter of Barcelona on a gorgeous day and enjoyed each other and our surroundings... It was perfect!" says Michelle. Choosing to keep the shoot fairly casual, the bride-to-be did her own hair and makeup for the session. As the couple basked in being together on a day off from working abroad, the shoot reflected their love of discovering the world. "Travel is a part of our lives, and we love appreciating where we are and really getting a sense of a place," notes Michelle. "This shoot allowed us to do that, and I think you just see the chemistry and the style of us." 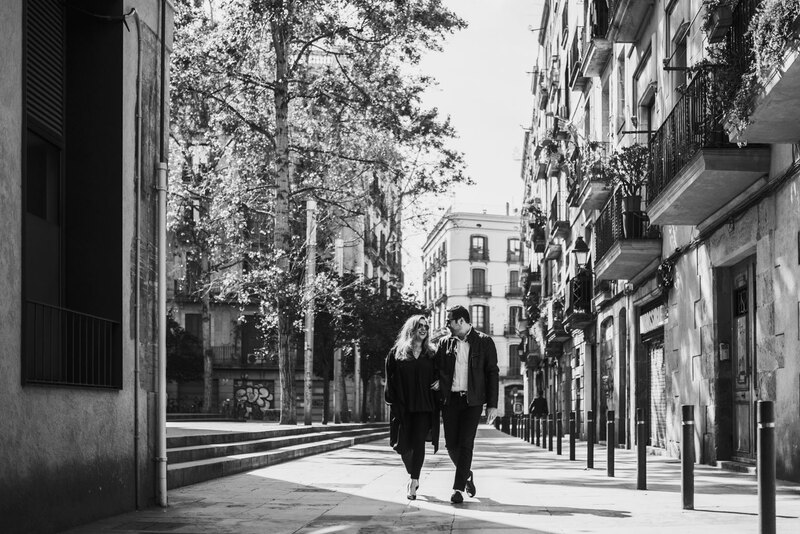 Take a look below to see photos from their Barcelona e-session! 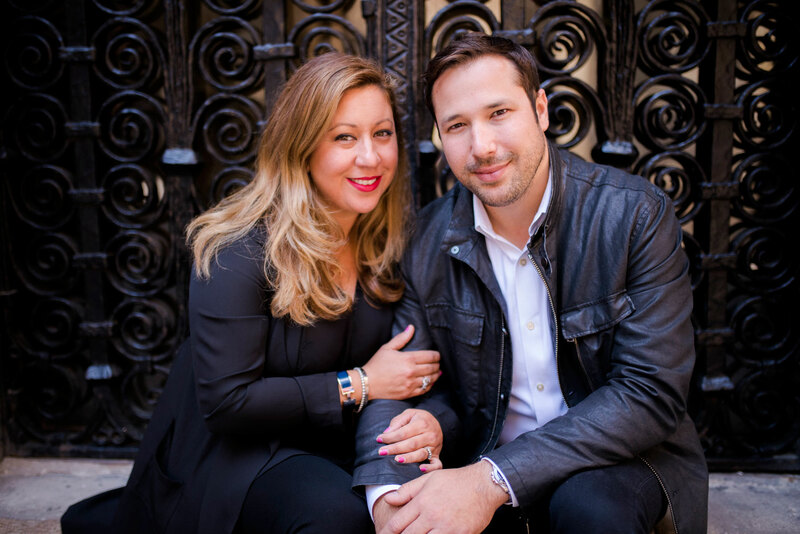 For more engagement shoot inspiration, view these e-sessions in New York, Paris, Brooklyn, Malibu, and Palm Springs.